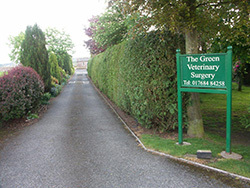 If you are looking for a veterinary surgery in Cumbria that you can trust then make sure you get in touch with the team here at The Green Veterinary Surgery. We are RCVS accredited for large and small animals, and we are Royal College Practice Standards Scheme accredited. Conveniently situated in the quiet village of Skelton, between Penrith and Wigton on the B5305, with easy access for you from the M6 and A66, we pride ourselves in giving a very warm and friendly welcome to all. 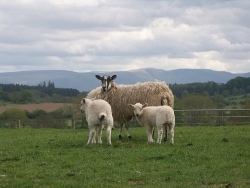 We are a rural practice that deals with the whole range of animals. Based in Skelton we are more than willing to provide our services within a 25 mile radius including Keswick, Appleby, Carlisle, Greystoke Forest, Penrith and Wigton. We are highly qualified and experienced, and we treat all types of farm and companion animals, as well as other species. We have over 30 years of experience between our four vets. For added peace and mind about your animal's care and well being, we provide all consultations by appointment, and a 24 hour, out of hours, emergency service. The surgery offers a wide range of diagnostic, treatment and surgical facilities in addition to annual health checks and vaccines, preventative health care advice, neutering and microchip implantation. Free nurse clinics are available for weight clinics, puppy clinics and kitten clinics. 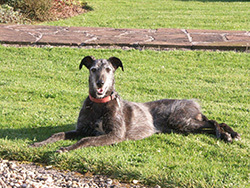 We can also offer advice on a range of behavioural and anxiety problems suffered by domestic pets. CALL US TO ASK ABOUT OUR FANTASTIC PUPPY PACK AND KITTEN PACK OFFERS FOR YOUR NEW PUPPY OR KITTEN. The surgery has grown steadily over that last 60 years and we are constantly developing and improving the diagnostic and treatment facilities we can offer to our patients and clients. The Green Veterinary Surgery is a small personalised practice where we would like you to build a direct relationship with individual vets. We are here for your convenience, and we provide nothing less than high quality care, professionalism, and reliability. We really do care about you and your animals, so why not get in touch with us today and see what we can do for you? The Green Veterinary Surgery opening times are Monday to Friday 8.15am - 6.15pm and Saturday 8.30am - 3.30pm. Outside these times, Out of Hours, our own vets are available for advice and emergency call out. Just call 01768484258 and you will be put in touch with a member of our staff.